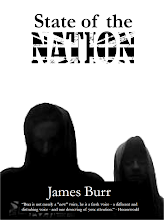 James Burr: Two readings from "State of the Nation." Here are the two readings that were featured on the "Radio Wildfire" broadcast. Hope you enjoy them!